Our Thursday throwback hit song goes to the legendary 2Baba aka 2Face – Rainbow (Remix) ft. T-Pain a hit years ago. Nigerian music legend 2Baba aka 2Face is celebrated because of his longevity in music and his long repertoire of hit songs. The singer celebrated his 43rd birthday a few days ago. 2Face released ‘Rainbow (Remix)‘ back in 2013 and he brought in American Grammy Award winner T-Pain. 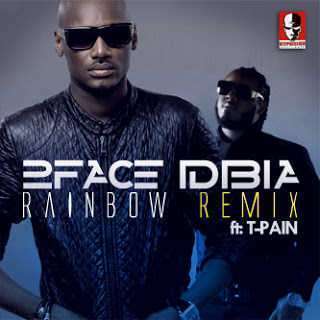 Listen, enjoy 2Face – Rainbow (Remix) ft. T-Pain below.